The best things in life aren't things, James Baraz insists. You know what you want. But why and how you want it matter too, James Baraz writes in his new book Awakening Joy: Ten Steps That Will Put You on the Road to Real Happiness. 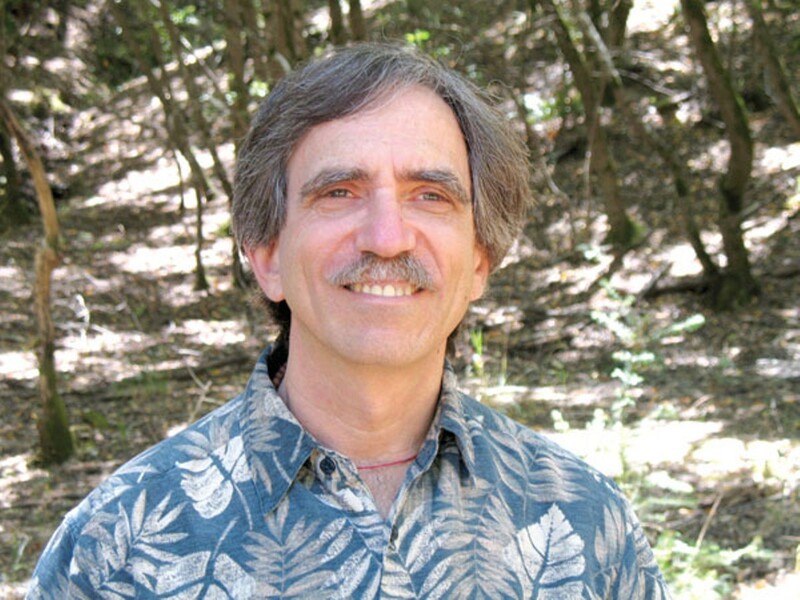 "If we want the seeds we plant to produce huge beautiful blossoms, our intention for greater well-being must be motivated by a big beautiful desire," asserts the Berkeley author, who will discuss his work at Northbrae Community Church (941 The Alameda, Berkeley) on Tuesday, January 12. "So don't hold back." A cofounder of Marin County's Spirit Rock Meditation Center, Baraz has taught meditation for more than twenty years — but that hasn't been any guarantee of ironclad happiness. "Going through my own 'serious' period as a Buddhist practitioner, I lost my joy," he remembers. "In 1999, my wife, Jane, gave me the book How We Choose to Be Happy by Rick Foster and Greg Hicks, which offered a blueprint for developing happiness based on researching 300-plus genuinely happy people over a three-year period." Reading it, Baraz was startled to realize that "although the authors had little knowledge of Buddhism, each principle had a direct correlation to classical Buddhist teachings." He decided to share the book with his own meditation group "through the lens of Buddhism," using Buddhist techniques to address its themes. "To my delight, as we all practiced together and supported each other in the process, most found that their base level of happiness began to increase," he said. This inspired Baraz to create the online Awakening Joy course on which his new book is based. And while he acknowledges that "happiness science" and "happiness studies" are trendy these days, he calls Awakening Joy "not just another book about happiness. More than simply offering suggested strategies to change your behavior, it uses time-tested practices, training the mind to learn new ways of thinking." That's not easy in a consumerist society whose members are compelled, coaxed, and cajoled to spend most of every waking day thinking about things: "We're bombarded with thousands of marketing messages," Baraz laments. "We might even know, as one bumper sticker says, 'The best things in life are not things,' but we can still believe that something else out there will make us happy. ... But how long does the satisfaction last once we receive the coveted object?" Not long, he points out, comparing this all-too-common experience to that of "hamsters in an exercise wheel — running but never arriving." Thus the first of his ten steps to happiness involves shifting the search inward. "If genuine happiness is not based on objects or experience, where can it be found?" Baraz asks. "As my colleague Sylvia Boorstein puts it, 'Happiness is an inside job.' When we consciously intend to be happy, actually saying that intention aloud or to ourselves, we set in motion a radical transformation. Profound changes begin to take place."